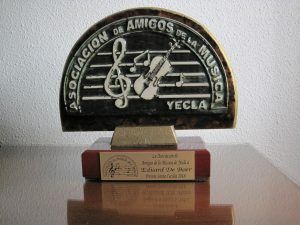 Sunday the 2nd of December, during the Concierto Extraordinario de Santa Cecilia, the Asociación de Amigos de la Música de Yecla awarded me with the Premio Santa Cecilia 2018. 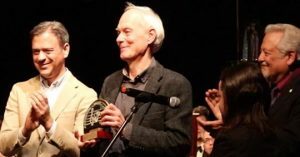 This award is given annually since 2005 and recognizes the work of any person, group or entity promoting knowledge and enjoyment of Music. I wasn’t told beforehand, so for me this was a huge sur-prize!